In mainstream media and blockbuster films, sharks are portrayed as massive, monster like beasts. Ever since Steven Spielberg’s “Jaws” hit theaters across the globe in the 1970’s, people have feared the massive creatures. 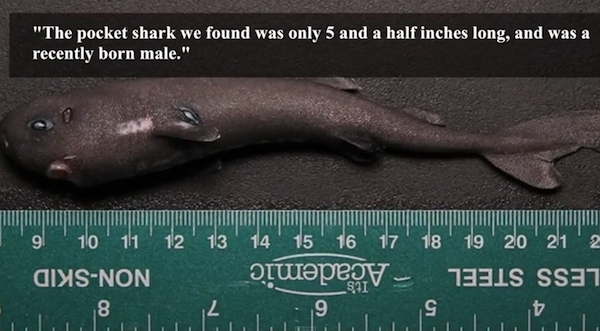 But, scientists believe they can change all of those fears with the discovery of entirely new species of shark called “The Pocket Shark”. 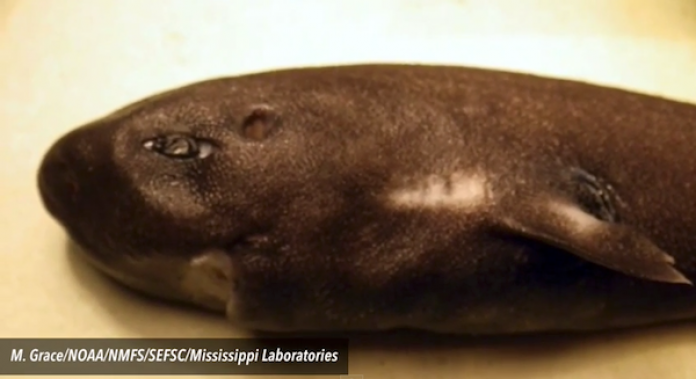 A new report sheds light on an extremely rare species which is only a few inches long. The shark is named so not due to its small size but because it has a distinctive opening in its front fins. It was actually picked up by a NOAA ship in 2010 in the waters of Gulf of Mexico while researchers were studying sperm whale feeding. Since that project collected many other animals, this sample was studied only years later after being uncovered in the lab. NOAA worked with Tulane University researchers to identify the pocket shark. Several other organizations are also helping with the further study.